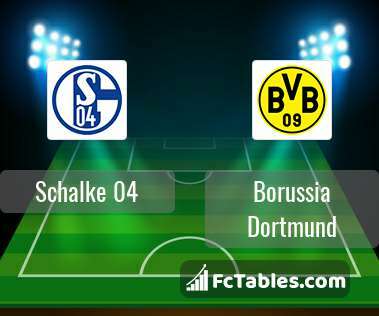 Kick off Schalke 04-Borussia Dortmund in 1. Bundesliga on today 14:30. Referee in the match will be Daniel Siebert. Team Schalke 04 is located in the middle of the table. (12 place). In 5 last matches (league + cup) team gain 8 points. from 2 matches team have not been defeated. The best players Schalke 04 in 1. Bundesliga, who scored the most goals for the club: Nabil Bentaleb 3 goals, Breel Embolo 2 goals, Guido Burgstaller 2 goals. Injured players Schalke 04: Franco Di Santo, Breel Embolo. Team Borussia Dortmund is at the top place in the table (1 place). Last 5 games (league + cup) finished balance 13 points. The most goals in 1. Bundesliga for Borussia Dortmund scored: Francisco Alcacer 10 goals, Marco Reus 9 goals, Jadon Sancho 4 goals. Most goals developed: , Marco Reus 4 assists, Jadon Sancho 6 assists. 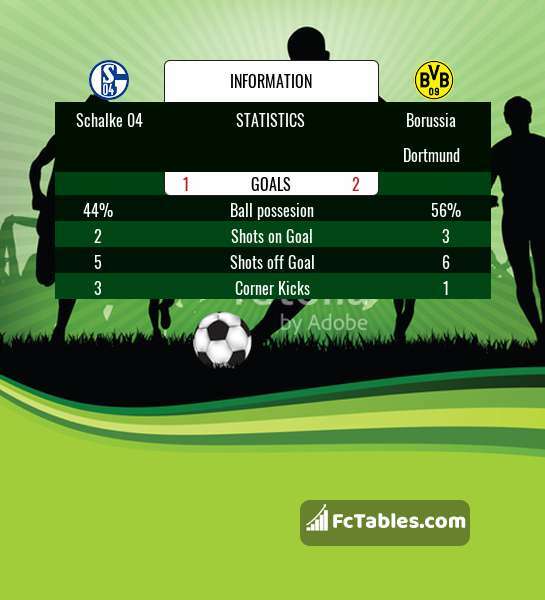 Direct matches: Schalke 04 won more direct matches. Schalke 04 won 16 matches , Borussia Dortmund won 8 direct matches, was a 17 draws. In 22 matches the sum of the goals both teams was greater than 2.5 (Over 2.5), and 30 matches teams scored more than 1.5 goals (Over 1.5). In 25 matches the both teams scored a least one goal (Both teams to score).